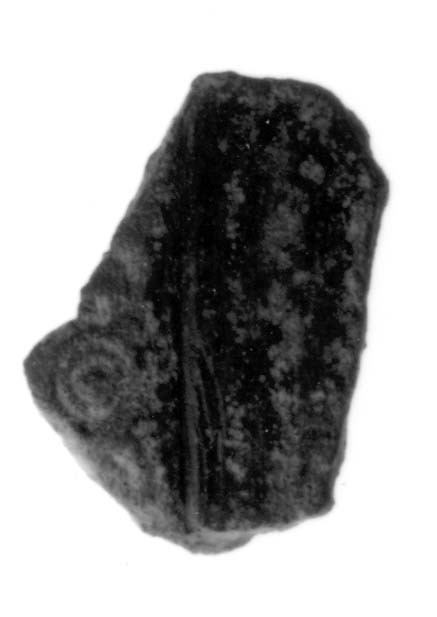 Description The fragment preserves a nearly complete stamped decoration of two concentric circles. The outer circle is approximately 0.004 m in diameter and is slightly marred by surface chipping. The stamp is preserved on a slightly raised ridge. This ridge is delineated by a very faint line of incision.